Bob’s DELTA AMEX upgrade story is still not over – by a long shot! “Hi Rene – Two calls this week with AMEX reps confirm I should get the promised 10K MQMs, but of course they have no power to award them. When I ask to elevate the case, their higher up repeated that once I upgraded to Reserve, my spend count reset to 0 and I would have to have spent $30K in December to get the mileage boost. When I asked to see where that policy is in writing, they all refer to an internal website but cannot share with me. When I asked them to help me navigate to similar policy language on their website, it ends in a dead-end every time. When I mentioned the e-mail sent by REP1, the rep who upgraded me, they default to her having to resolve it. But neither REP1 nor her higher up REP8 will return my call. I called again today, and was told I would get a callback today. WOW Bob. 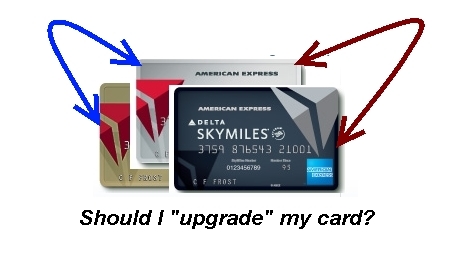 This confirms what once happened to me and many other readers have confirmed that if you upgrade, even if you have say spent $20,000 on say the PLATINUM card, you will reset to ZERO for your spending total count for the year if you upgrade to the RESERVE card. Let’s fast forward to next year and the middle of your spending to avoid MQD’s! Think if you were just $5000 short of meeting the spend, upgrade, and get your counter reset to ZERO! Oh my would that be fun. I hope you are seeing how careful we need to be in 2014 with year one of MQD’s as these kinds of issue will occur and we do not want to a part of THAT (perhaps Delta will still give us spend credit but this is so new we just don’t know yet). When I upgraded in October my spend over 25K rolled over. Best of luck and keep us updated! I upgraded from Gold Delta to Delta Reserve in November. It took a lot of back and forth emails, but I finally got the bonus miles and MQMs. And yes, my spending on the Gold card carried over, which actually was a nice surprise. So, I’m not sure what is up with the “reset to 0” reference above. Is there a post where you explain how to meet the minimum spend for these high-value cards? Without making major purchases for a business, is it even possible? @JP Traveler – as you can see, don’t expect it! Many results and feedback refers to this internal document at AMEX.